SEE WHAT HE SAID: On whose mark? | Precious Thoughts! SEE WHAT HE SAID: On whose mark? So today I will be sharing Robert Madu’s message titled- On their mark. This message is one that that will bless your life completely because it has blessed me immensely[Please find time to listen to it on YouTube]. His main text was Hebrews 12:1 -2: Therefore, since we are surrounded by such a great cloud of witnesses, let us throw off everything that hinders and the sin that so easily entangles. And let us run with perseverance the race marked out for us, fixing our eyes on Jesus, the pioneer and perfecter of faith. For the joy set before him he endured the cross, scorning its shame, and sat down at the right hand of the throne of God. His second text was 1 Samuel 18:5-9: As they returned home, after David had killed the Philistine, the women poured out of all the villages of Israel singing and dancing, welcoming King Saul with tambourines, festive songs, and lutes. In playful frolic the women sang- Saul kills by the thousand,David by the ten thousand! This made Saul angry—very angry. He took it as a personal insult. He said, “They credit David with ‘ten thousands’ and me with only ‘thousands.’ Before you know it they’ll be giving him the kingdom!” From that moment on, Saul kept his eye on David. This message was throwing more light on the dangers of comparison, using Saul as an example. 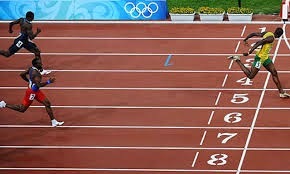 Every individual has a race set before him/her, but not everyone finishes this race because of comparison. In everything we are called to do in this world, we are to fix our eyes on Jesus but we do get distracted by the attainment of other colleagues, friends, elderly ones and the list goes on. When the question is supposed to be- Lord, what will you have me do? Where do you want me to be? The questions that are being asked are- ‘when will I have the car, Biodun has?’ ‘When will I build the mansion that Chegwe has built for her parents?’ ‘ah! Naomi married at the age of 24, I will be 24 in 9months time, where is the bobo?’. We have taken our eyes off Jesus and focused on the lives of people that we see on Facebook, twitter, instagram and other social media vices. This mistake is not a new one, it started since the time of Saul and David. Saul took his eyes off God and focused on David because of the song that the women sang. And we know how Saul ended. I know it is very key to say that this comparison issue starts most times with parents. [I mean no disrespect to parents, I type this with all humility] but with statements/questions like- ‘Victor, why can’t you laugh like Peter, your friend’ or ‘Bola, why can’t you sing like Nike; can’t you hear how she sounds?’…… Parents forget the extraordinary individuality of every child. 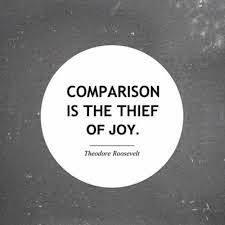 I understand that every parent seeks to bring out the best in every child, but comparison doesn’t do that in the long run. No one person can be like another on this planet, that’s why we all have different races to run. Trying to run another persons race never ends well, no fulfilment. There’s something Robert Madu said: Comparison will consistently cloud the clarity of what God has called you to do. This is very true! My dearest readers, please let us curve out our own niche in this life. There is a sense of peculiarity to everyone’s calling. It is my desire that we fix our eyes on Jesus and ask him to reveal to us, what he will have us do in this world before we are called home. I am sure he will reveal to us, his word tells us that whatsoever we ask for according to his will, he will do it. 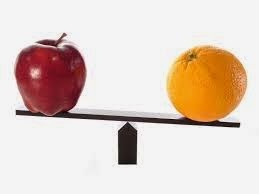 Finally, Robert Madu gave an illustration of what comparison is- when an individual is on a treadmill, the person is in motion but still at the same spot. That is the end result of comparison-Stagnancy! Busy but not moving forward!! The question is-whose mark are you on??? May God help us all. Amen. Also, I know most of us have role models, how do you curve out your own niche, inasmuch as, you admire their achievements/principles; without running off your lane/mark? Please share your opinion. Its amazing that your topic happens to be centered on what I have been struggling with even till now. Just today, I looked out and saw some ladies driving and immediately told myself I must learn to drive before the end of the year. It might seem stupid to some but these are real issues that people deal with. I have often asked myself if I am living my life or those of others and sincerely it takes the grace of God to conceive oneself as special and distinct among others. I hope that those going through this phase like myself can first of all admit that this is a problem and turn to God for help. Thank you so much for this post. Hello Anonymous, thanks for commenting. I bless God that I was able to put up this post because I am no saint when it comes to this issue of comparison, like you said, it takes God's grace to be able to fix our eyes solely on God. I remember a time when I was told to lead a meeting with a message the next week, and the lady who led the previous week did exceptionally well, you could feel the spirit of God present. And then, what came to my mind was- how do I meet up to that? And it took the Holy Spirit's rebuke, before I realised that I was to focus on what the spirit of God wanted his children to get from the message and not how to meet up to someone else's standard. I pray God will help us because this issue is real like never before. Pingback: SEE WHAT HE SAID: Book Review! | Precious Thoughts!